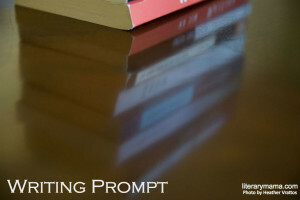 Last month, we invited readers to share their responses to a writing prompt inspired by Kim Zarins's essay, Reading Mommy's (R-Rated) Book: An Adventure in Three Acts. We asked readers to tell us about a book that prompted them to have a conversation with their children about an uncomfortable topic. Below is Kimberly Lee's response. The book's cover draws me in. The deep brown face, coiled hair drawn soft enough to touch. Things are improving, but it can still be difficult to find picture books featuring children of color. I'm vigilant, always scouting books in which my children can see their own reflections. I want them to feel affirmed, to know that the world sees them. They, too, are to be glorified. The title intrigues me as well: Henry's Freedom Box. It's an oxymoron if I've ever heard one. What's this about? I get closer, read the subtitle: "A True Story from the Underground Railroad" by Ellen Levine and illustrated by Kadir Nelson. I flip through and learn of Henry Brown, a slave who, with the help of an abolitionist, mailed himself in a crate to the free state of Pennsylvania. The book is stunning, poignant. I buy it but am consumed by uneasy thoughts as I head home. My son is seven, my daughter, five. They know that their ancestral home is Africa. They've worn tiny dashikis on Heritage Day at school. They've attended festivals celebrating African culture. But we've never discussed the circumstances of how the predecessors of both my husband and myself came to the United States. Slavery elicits deep sadness whenever I watch a film portrayal or encounter it in literature. How will it affect these tender hearts and souls? It's been said that "three things cannot be hidden: the sun, the moon, and the truth." I read Henry's story to the kids that night. We stop often, pausing to talk about that time period. I tell them that some people thought it was right to own people the way we own our pet rabbit and to sell family members the way my daughter's friend is distributing her dog's puppies. Slaveholders were quick to whip and beat the slaves and talked to them in ugly ways. Slaves couldn't move around freely; they weren't allowed to read. The ones who endured this were our relatives, those that came before us. My children have a hard time believing it, registering it. They ask a few questions but mostly listen silently. We talk about reality—Henry's story ended happily, but most of the slaves didn't experience freedom until a war was fought. We talk about how we must stand for what's right and fight for those who can't fight for themselves, whether they look like us or not. I show them a scene from the movie Antwone Fisher, in which the title character dreams of a field with an enormous barn. As the massive doors swing open, he sees his ancestors, each clothed in the attire of their time. They beckon him into their presence, their embraces. I tell my children that they have shining folks just like this, smiling down on them, sending love. It is through our lives, lived with so many blessings while continuing the struggle for equality, that we honor them. The kids brighten as they take this in. In their luminous brown eyes, I glimpse the qualities the slaves must have had—strength, resilience, hope. Kimberly Lee is an attorney who happily left the practice of law to focus on motherhood and creative pursuits. Her work is forthcoming in The Prompt and Thread Literary Magazine. She lives in Southern California with her husband and three children and is currently at work on her first novel.